I love the nautical look! I think it started at a very early age when my mom dressed my brother and me in matching sailor outfits for family portraits! When I find the picture, I will post it! Stripes are awesome, classic, and timeless. I feel like stripes never look sloppy or messy. I love the combo of red, white, and blue with gold accents, to me it is perfection! I am in search of the perfect pair of red pumps or wedges, I haven’t found them yet, but I am still looking. 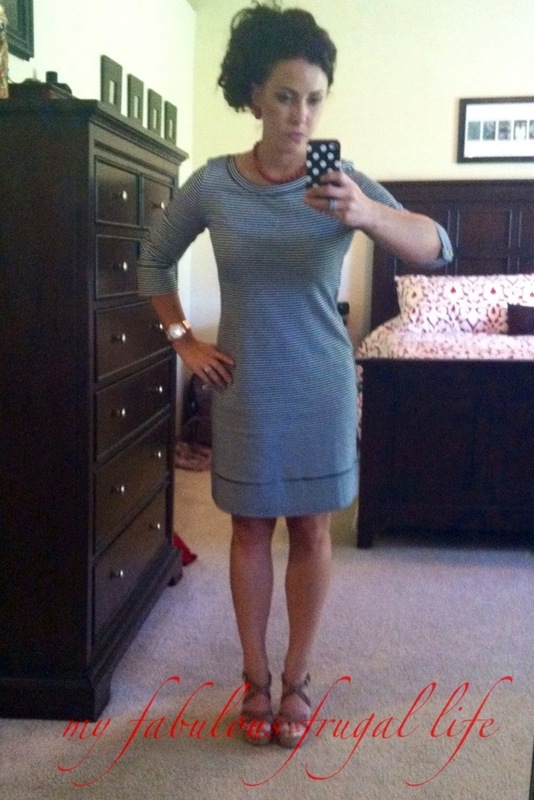 Nautical striped dress from Banana Republic Outlet, last seen here. Someone asked me if I ever where the same outfit twice, of course I do! I don’t understand why you would wear something other than a wedding dress and not expect to wear it again! I love this dress! It was a great bargain for $20, I know I will wear it for a long time. Red post back earrings and red beaded necklace free from my grandma. I inherited most if not all of my grandma’s costume jewelry when she passed away. These were hers and I love them! 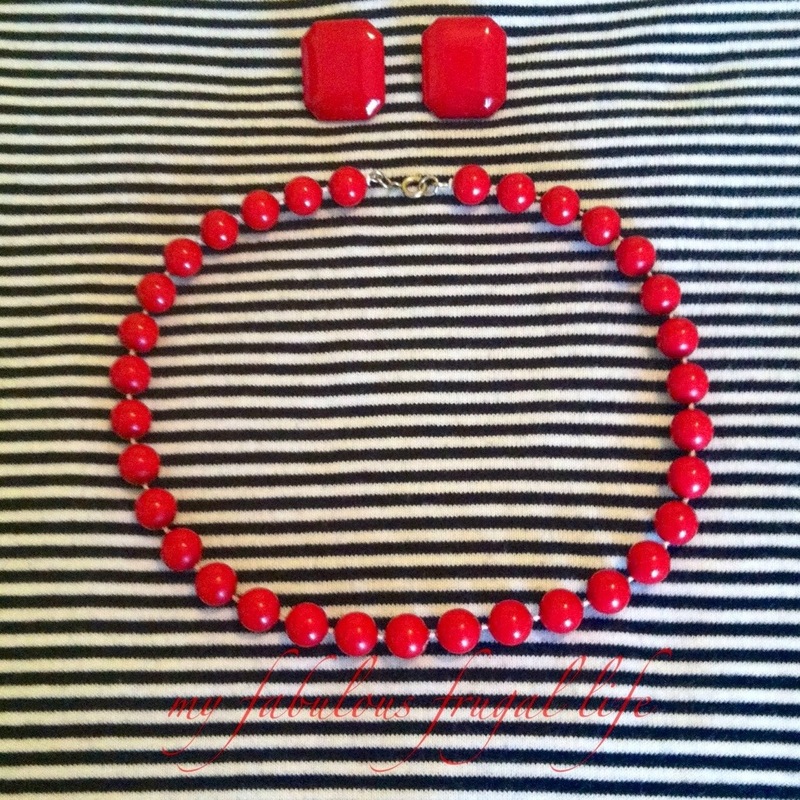 Red accessories are awesome and add a pop of color to everything! Tan cork wedges with gold accents from Banana Republic Outlet. These are awesome sandals. I love the gold bottoms and the color of the leather. Another plus is how comfortable they are to wear all day at work. 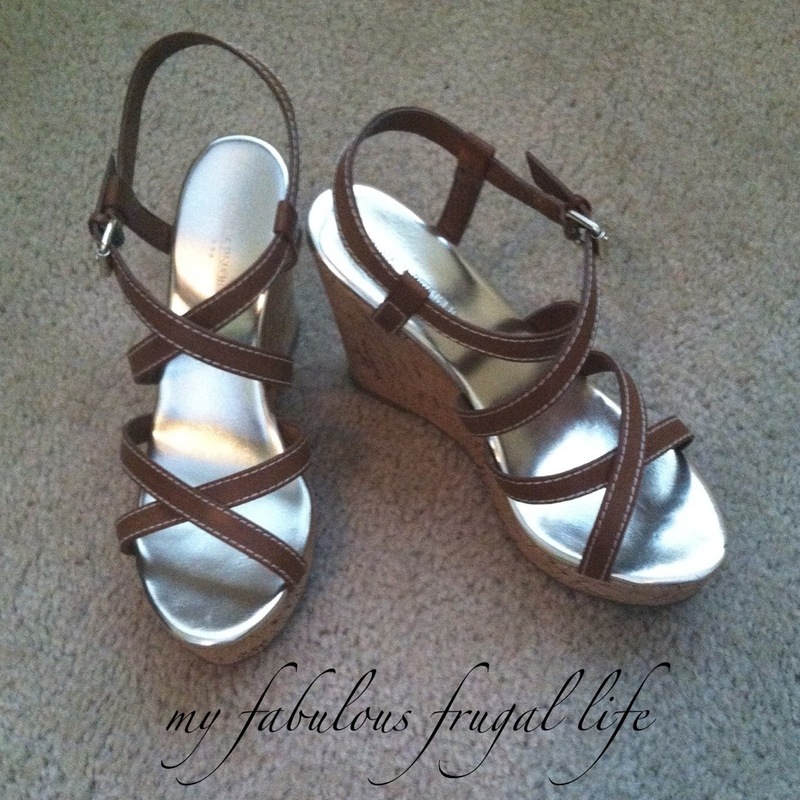 Stay fabulous and be frugal! Thank you! I too, am a sucker for cute wedges, especially when they are on clearance!